PNP medium power transistor in a SOT223 plastic package. 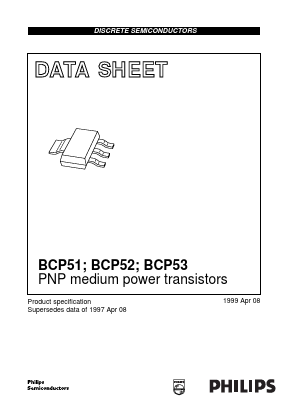 NPN complements: BCP54, BCP55 and BCP56. • Medium power (max. 1.3 W). • Thick and thin-film circuits.